Need expert advice? We are saddle and boot fitting specialists and can help you choose the perfect saddle or boots. When you are ready, please call us at 1-800-888-8721 and we can go over the details to get you the right saddle. If you don't see what you need, or are not sure: Please call me on my cell phone 203-246-8013. Ron Friedson, Saddle and Boot designer! 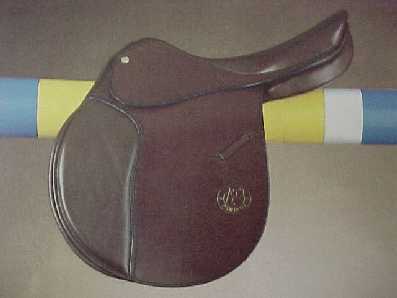 Jumping saddle with flat and soft seat, panel in felt and Prolite, covered safety stirrup-bars to avoid leg contact. It provides a light band and mazimum contact with the horse. Fully hand-made and developed in collabration with top riders to guarantee the best performance. Call 203-557-3285 for fitting advice and the best price! The classic Pariani jumping saddle, with exceptionally soft seat, knee rolls, calf blocks, panel in leather and skin. Call 203-557-3285 for fitting advice and the best price!